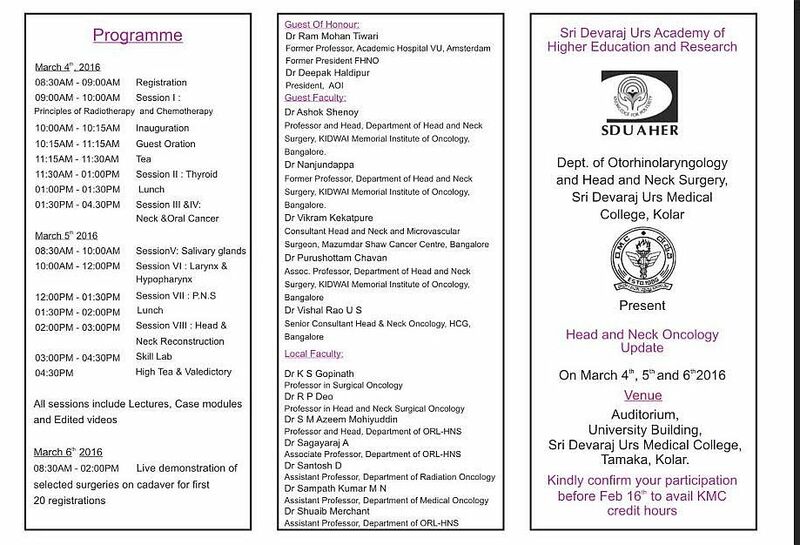 Otolaryngology Update: CME on Head and Neck Oncology Update at Kolar, Karnataka on 4, 5 and 6 March 2016. 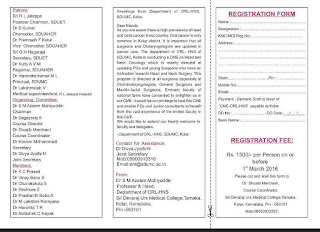 CME on Head and Neck Oncology Update at Kolar, Karnataka on 4, 5 and 6 March 2016. 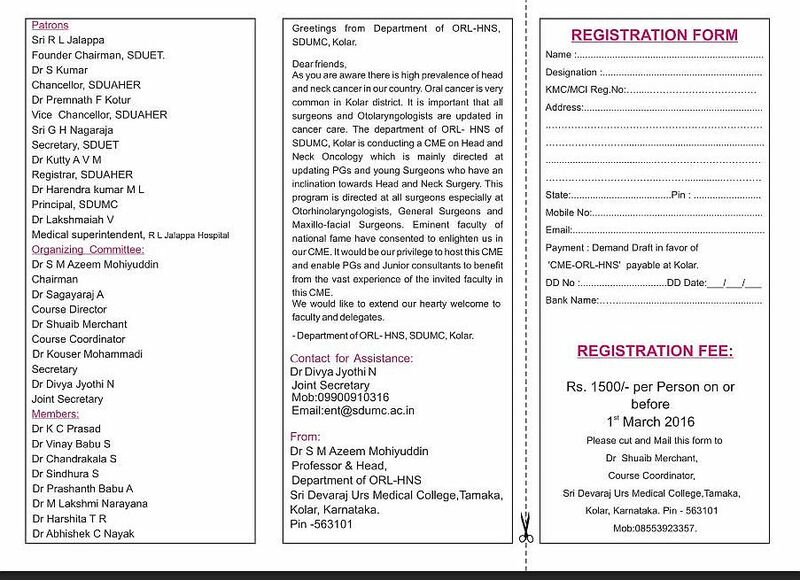 The Department of ENT-Head & Neck surgery, Sri Devraj URS Medical College, Kolar is organizing a CME on Head and Neck Oncology Update at Kolar, Karnataka on 4, 5 and 6 March 2016. 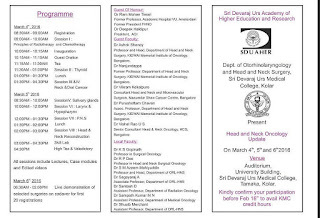 This CME gives a comprehensive knowledge of head and neck oncology concentrating mainly on post graduates and budding ENT and General Surgeons. On 4th and 5th there will be lectures, case modules and edited video presentations covering all-important surgical procedures by eminent faculty. On 6th we would like to demonstrate important surgeries in head and neck oncology on cadaver. We request you to actively participate in this CME and forward to your post-graduate students, ENT consultants. The brochure for CME is attached herewith.